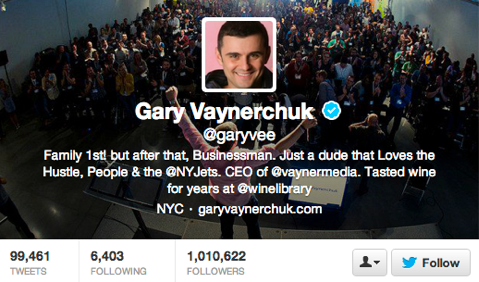 In this episode, I interview Gary Vaynerchuk, author of Crush It! and The Thank You Economy. He’s also the CEO of VaynerMedia. His newest book is Jab, Jab, Jab, Right Hook: How to Tell Your Story in a Noisy World. Gary shares why storytelling is important for your business. You’ll learn how to discover deeper data and why analytics are an essential part of your social strategy. Gary explains how he had an epiphany that he might have let people down by over-indexing the act of giving in The Thank You Economy. Although he knew his readers would understand that to give is great, they wouldn’t necessarily understand that at some stage you have to ask. The book title, Jab, Jab, Jab, Right Hook, stands for Give, Give, Give, Ask. You have to remember to give value, which eventually leads to putting out a good call to action, which leads to business. Gary says that even some of the best social media people don’t know how to ask for business. 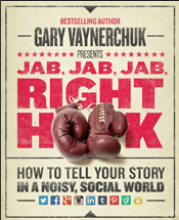 Gary's new book Jab, Jab, Jab, Right Hook: How to Tell Your Story in a Noisy World. The idea behind the book was for it to be a utility for people. It looks at individual pieces of content as case studies. You’ll hear why Gary wanted to write a how-to book and why the title is a boxing metaphor. Listen to the show to find out why Gary looks at social media as a science. Gary explains that it’s the crossroads of the analytics and being creative to create business results. He feels like a lot of social media experts don’t put enough effort into analyzing data. Gary didn’t put in the effort either until he started VaynerMedia. Now he has seven full-time analysts. This has given him a much deeper insight into the black-and-white of it all. There are also people who think it’s all algorithmic. They underestimate the value of the human touch and creative, which is the art. Analysis is the science. It’s the crossroads of the two. Most social media marketers don’t look deep into their analytics because of time or capacity. Most are consumed by speaking, consulting and selling content. Gary feels that it’s time and money that hold most people back. This is why he wanted to share his ideas. Gary recommends that you use Facebook analytics to test for deeper data. It’s a great tool that has a ton of uses. 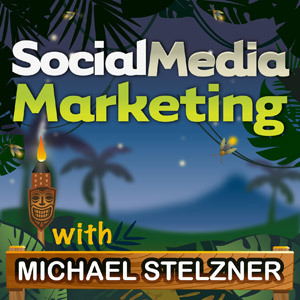 You need to think about and test what you put on your Facebook page and Twitter. Gary advises that you need to be careful and be able to back up what you say. He believes that he gets away with a lot of stuff because of the huge success he has had with Wine Library TV. 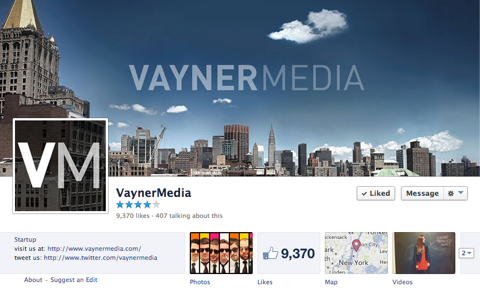 Plus VaynerMedia is an eight-figure business already, where the number of employees has grown from 25 to 300. Gary has had huge success with Wine Library TV. You’ll find out why self-awareness is important and what else you need to consider when you want to help people. Listen to the show to find out why execution matters. Gary says that storytelling matters because stories are powerful and everlasting and they are what turn a commodity into a business. He believes that a story matters more than anything else. It’s brand equity. It’s why we buy name-brand products. It’s why fashion works. It’s what cool is about. It’s our sense of place in the world. The best way to do it is contextually. His book includes 86 case studies that show individual pieces of content that are good and bad. Gary’s biggest goal for the new book is for it to be on everyone’s desk as a reference for when they want to put content out there. You’ll hear why Gary always starts his talks with his own personal story and why YouTube and Twitter were the two platforms that became important to him. A recent New York Times article talks about how Gary and his team at VaynerMedia helped Nilla Wafers exponentially grow their business results with content only on Facebook, Twitter and Instagram. 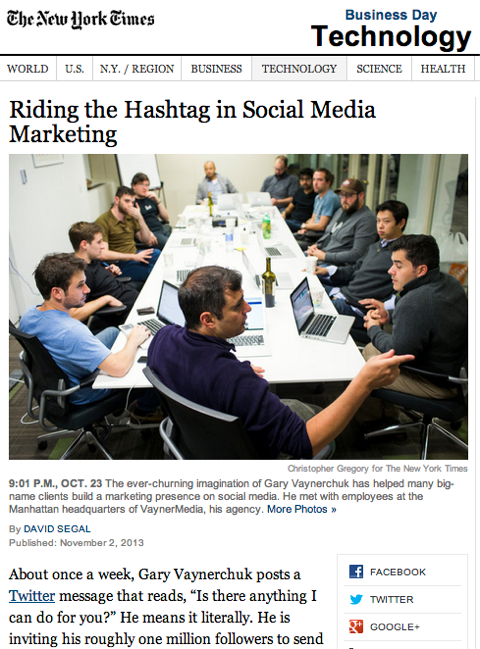 The New York Times recently featured Gary and his team at VaynerMedia. You’ll learn about what type of content works best for each platform and the importance of having respect for the context of the platform you tell your story on. Listen to the show to find out what you need to ask yourself to turn a boring product into an interesting one. When it comes to storytelling, Gary explains that “micro” means fast. When you think about how quickly content is consumed on Facebook, Twitter, Pinterest, Tumblr and Instagram from a mobile device, then you need to put content out there that can capture attention in about 1/100th of a second. It has to be lightweight and can include memes, animated GIFs and Vines. You’ll learn about the different types of stories you can tell and why it’s important to talk about your value proposition. In Gary’s book, he talks about the formula, micro-content + community management = effective social media marketing. When it comes to the community management component, Gary says it’s the proudest aspect of who he is in the social media space. He says that 90% of his tweets are @replies. You don’t just throw your content out there, you have to engage. You have to engage with your audience. You’ll discover why Gary chooses engagement over consumption and entertainment. Listen to the show to find out why Gary believes that Twitter is the one true social network. Gary says it’s important to engage, engage, engage and create context, so when you ask someone to buy from you, they feel like they owe you something. Listen to the show to find out why it’s important to continue to deliver. You have to put in the effort and the time. A lot of people know what to do, but don’t follow through and actually implement. Gary believes there are a lot of thought leaders who put out blueprint without doing what they are teaching. It’s part of the opportunity for these leaders to separate themselves from the pack. Listen to the show to find out why Gary’s latest book is still gaining momentum in presales. The good news for the most part is that there’s no need for your clients to give away their passwords to all of their social media accounts for you to manage. For example, with a Facebook page, LinkedIn account or a Google+ account, it will allow you to add administrators. However, Twitter is slightly different. You’ll need a management app such as SocialOomph or HootSuite, where within the app you can delegate control. Twitter doesn’t make it easy for multiple people to manage accounts because they have a single email address tied to every account. With Pinterest, I don’t think they have as robust of a management strategy. If you’re in a position where you need to share (or a client needs to share with you) an ID and password for a social network, I strongly recommend that you make sure whoever is managing your account uses a secure password management tool such as 1Password. 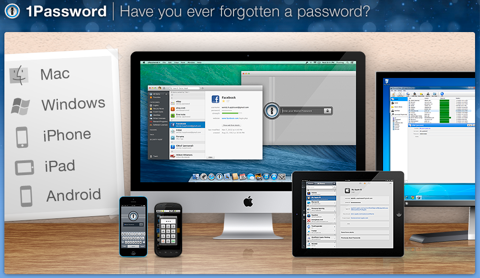 1Password is a great password storage system for managing multiple accounts for clients. Whatever you do, don’t use your web browser to store IDs and passwords. If your laptop gets stolen, someone can pull up the web browser and essentially take over your accounts. If you have given away your ID and password, then change them. If there are quite a few of you who share the same ID and password, then 1Password is a robust password storage system that works great across every platform. The conference is an incredible opportunity for small business owners and marketers who work for corporations. It features more than 60 sessions across four major tracks, including social tactics, social strategy, community management and content marketing. There are a lot of big brands that will be presenting, so if you work for a brand, you can go nonstop from brand panel to brand panel. There is also plenty of non-brand stuff for those of you who are not part of a big brand. Representatives from IBM, Whole Foods, Century 21, SAP, Citrix, Aetna, Experian, Intercontinental Hotels and Kelly Services PLUS moderators from Cisco and Price Waterhouse Coopers will be speaking or participating in the conference. The list of brands is growing on a regular basis, so be sure to check it out. 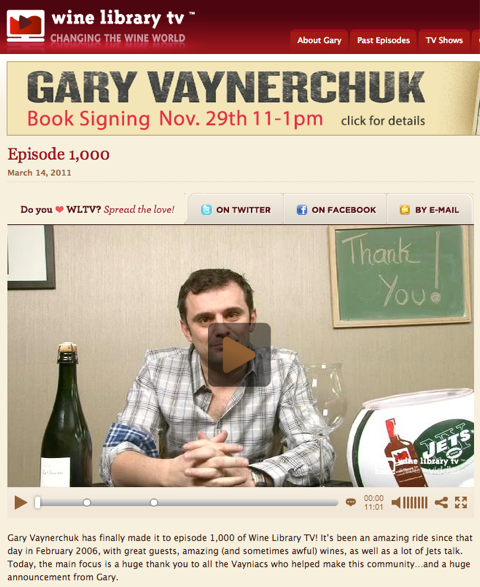 Connect with Gary Vaynerchuk on his website or Twitter. Check out Gary’s books: Jab, Jab, Jab, Right Hook: How to Tell Your Story in a Noisy World, Crush It! and The Thank You Economy. Learn more about Facebook Insights to help you dig for deeper data. Head over to Wine Library TV. Check out Gary on YouTube. Read the recent New York Times article featuring Gary and his team at VaynerMedia. Take a look at Nilla Wafers’ accounts on Facebook, Twitter and Instagram. Check out SocialOomph and HootSuite as management tools for Twitter. Try 1Password as a secure password management tool. What do you think? What are your thoughts on social storytelling? Please leave your comments below.